It’s very easy to backup all your data on your QNAP NAS to the public Cloud from Azure. In this blogpost I’m describing all the necessary steps. First make sure you have an active Azure account with a subscription. You can easily sign up for a one month free trial period. Go to portal.azure.com and create a Storage account. Go to the big plus, and select Storage/Storage account. It takes a couple of seconds for this account to be created. Now go to your storage account and copy the Access Keys (Toegangssleutels in Dutch), You will need that later on. Go to your QNAP interface and download the QNAP Azure Storage APP. Go to Account, to configure your Storage Account. The first name can be anything, the second name is the name of your storage account (without the UPN..) and the last is the secret key your copied earlier. Make sure you select the SSL option. Take notice : it’s recommended to encrypt all your data on Azure. So that no one has access to your data. Even when they have access to your storage account! Don’t forget your password, no one else can recover it! You can tune these options when you wish. It can take some time when you back-up your entire NAS to Azure. It’s recommended create multiple tasks. A task for each folder. In my case I use 2 TB for approx € 40 monthly. Recently I build a XenApp environment on Azure for demo purposes. I used –> this <– website helping me calculating the costs. This website (running on Azure :-)) makes it easy to calculate the costs of your XenApp/XenDesktop environment on Azure. You can provide the locations, working Hours, Workloads and number of users (and their profiles). It automatically loads the costs of Azure (so no outdated data!) for Comput, Storage and Network. I’m moving more and more of my whitebox environment towards Azure. But some parts are still running in my home environment. So I would like to create a Site-to-site VPN between my office @home and Azure. Because an Express Route would be slightly overkill I decided to build an Site 2 Site VPN. Some information about my test environment @home. I’m running a Hypervisor in a seperate tenant with only 2 virtual machines : pfSense and a Windows 10 virtual machine. Let me take you through the steps of creating a Site2Site VPN, hold on! First make sure that you have a proper working pfSense (2 NIC) instance running. You will need at least one public IP address (IPV4), so you probably need a business internet line because consumer internet lines don’t often have static public IP addresses. You need to configure IP Addresses, not DNS names, so DynDNS is no option I’m afraid. Ok, let’s go! First download and install pfSense and the Windows 10 VM. My pfSense virtual machine has 2 network adapters, One WAN (Bridged mode) and one Custom (VMNet 10). The Windows 10 is in the same custome mode (VMNet 10) and is running in a separate subnet (192.168.1.X). Make sure that the LAN interface of pfSense is running the DHCP service. Check! (great website btw :-)) We have internet access! 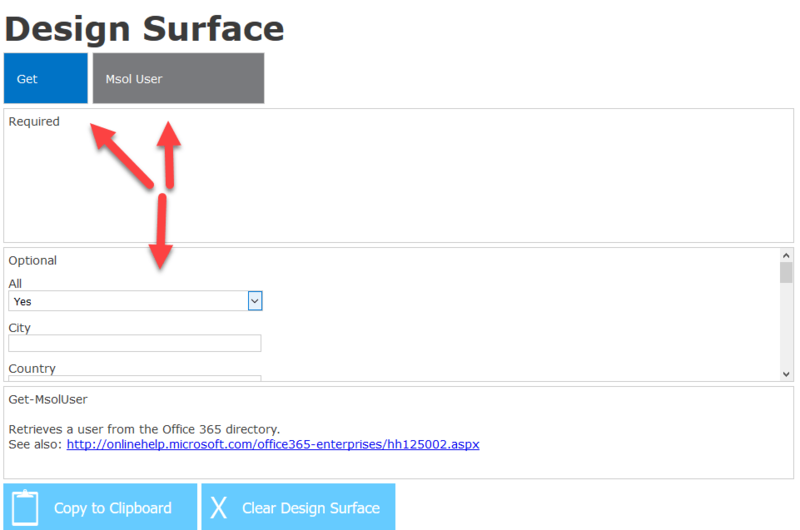 Now login to Azure, select your subscription and check create a Virtual Network. In my situation I already had a virtual network (the network I would like to connect to). I only had to make an adjustment. In my environment I’m using the same IP addresses. You can choose your own name(s). Now go to the virtual network you’re running or just have created and go to subnets. Click +Gateway subnet. Give it a new, use VPN/Route-based. Choose Basic for SKU (is enough, can be upscaled later). Create a new public IP for your VPN and select the subscription and resource group. Choose to create and wait approx 30 min. You can choose your own name, make sure to use your public IP address of the WAN Adapter of pfSense. Choose to create your local network gateway. This can take approx 45 minutes. Now go to the local network gateway you have just created and go to connections. Give it a name, a think about a very long & secure Pre Shared Key. Remember this. You will need it later on! Now let’s open pfSense a bit, let’s allow the firewall IPsec traffic. In orde to do that, from the main menu go to Firewall, Rules and then click on the IPsec sub-menu. Ok, now we are done! Great job… but let’s test it first! Go to the Windows 10 test VM. In Azure I opened RDP and Ping for testing purposes. As you can see from my internal network @home I can ping and RDP to the INTERNAL (!) IP Address of my Azure resources. Job well done! A couple of days while I was driving to the beach I noticed a problem with one of my machines running on Azure. Ofcourse I didn’t bring my laptop, so I first tried the Azure App in real life. I was very pleased. You can’t always predict what will happen or when, but you can be prepared. That’s where the recently updated, Azure mobile app comes in. Stay connected to your Azure resources – anytime, anywhere. You can take the power of Azure with you on your mobile phone/tablet! After downloading the App from the store, it was very easy to get it up and running (support for MFA). In my case I tested the Android version, but there is a iOS version also. Normally I don’t prefer working on my phone or tablet but just using my laptop or desktop but sometimes it’s very handy to be able to quickly restart a VM for example. Or see the load (metrics) of some of your services. Even be able to receive notifications is very handy! The Azure app puts every subscription from every service in your pocket. Scroll through all your resources and resource groups, search by name, or filter by resource to find the resource you need. For those of you with a lot of subscriptions and resources, scrolling and filtering – on your mobile device! – might get a little tedious. Save swipes and taps by adding the resources you want to keep a close eye on to your favorites list. Just open the resource, tap the star, and go! The next time you open the app, you will start on the favorites tab to help get you to your resources faster than ever. Perhaps the most important aspect of building your business in the cloud is the confidence and knowledge that everything’s up and running and your customers aren’t impacted by unexpected events. With the Azure app at hand, you’ll never need to guess. Just open the Notifications tab for a personalized list of Azure health alerts and important metrics that you’re monitoring for your resources. In addition to getting metric alerts on the Notifications tab, you’ll also be notified about these alerts when you visit resource details. Just tap the notification to open the details. Of course, many more are on the way. As a companion app for mobile workers, the Azure app doesn’t include every feature in the Azure portal, but as you can see it provides great flexibility while using your phone or tablet. I think the Azure App is a need to have for every Azure administrator! Just download the app in the appstore and let me know what your thank about the app! In my Azure test environment I’m running several Windows and Linux servers. In this blog post I describe an easy and effective way to patch them. It only takes you a minute of configuring! As you can see it’s very easy to update your VM’s (this works for Linux too!) running on Azure (Stack). Many people are running Linux in a virtual machine on Azure. But what if a Linux virtual machine refuses to start? Go to the Azure portal and open the virtual machine properties. First check out the CPU, network and disk utilization. Is CPU constantly peaking at 100%? Then you know that you must investigate that first. You see absolutely no utilization at all? Then your virtual machine might be down or doing nothing at all. When your virtual machine is slowly but online, maybe you have choosen the wrong virtual machine type and do you require more resources. When you choose the troubleshoot option, you see the current resource status. A green sign means that there should be no problems with the Azure platform resources you are running on. In my case I see a green sign, so that’s a good! You also see the latest issues and activities. Did someone recently restart your virtual machine? You should see a notice of that. Remember how important it is to take security in mind. Are you and your co-workers all using the same account? Then it can be difficult to identify who rebooted the server. You also see most common issues regarding your type of virtual machine. Just click on a problem and Microsoft gives you advice. You directly have the option to check for the tips that Microsoft gives you. You notice the latest boot process. You can scroll down this window. Notice the options to download the logfile, and to take a screendump and download it. You can’t see a live screen of the console but you’re able to download a screendump of the console. Not ideally but it can provide you with some interesting info. Sometimes there is a problem with your password. Maybe you forgot your password!? You can use CLI or Powershell to change it. You can find more info here and here. When you have full access to azure and the virtual machine you can reset your root password without knowing the current password. Maybe some actions required a reboot and for that reason some services are not running. Check if the file /var/run/reboot-required exists or not. If it exists then you first have to reboot your Linux virtual machine before further troubleshooting. There could be a resource problem or a hanging process. Choose to restart your virtual machine. Click on restart virtual machine to restart it. Use the console and boot information mentioned earlier to check the progress. You have the option the migrate (move) your virtual machine to another host. Sometimes there could be a problem with a specific region or host Use this option to make sure that this doesn’t apply to you. Check your number of IO’s. Do you have a application which requires a lot of IO? Consider the use of premium storage. Microsoft Azure Premium Storage delivers high-performance, low-latency disk support for virtual machines running I/O-intensive workloads. VM disks that use Premium Storage store data on solid state drives. You can migrate your application’s VM disk to Azure Premium Storage to take advantage of the speed and performance of these disks. But be aware of the costs! If your disks does not require high IOPS, you can limit costs by maintaining it in Standard Storage, which stores virtual machine disk data on Hard Disk Drives insteads of SSD’s. More info here. Microsoft provides more and more support for Linux virtual machines. The not real time console session is a bummer but Microsoft offers a lot of tips for you to take a clooser look at. I hope that this post will provide you with a good place to start your investigation. Make sure you have a working (and tested!) back-up plan in order. Everyone needs a restore or one point or another. 🙂 Microsoft also provides support plans, costs are $ 250 monthly with a minimum term of 6 months. You can always fallback on Microsoft’s Linux team which has advanced knowledge but for a price..
Making backups of virtual machines running on Azure using snapshot technology is a nice feature. But sometimes you don’t want to revert the whole snapshot but only want to restore a single file. Now this is possible. It uses the same backup/Snapshot technology you probably are already using. 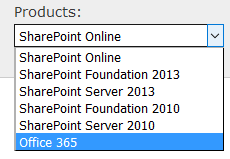 Open the virtual machine properties in the all resources tab. Choose the Back-up option. Select the back-up set containing the file(s) you wish to restore. Then choose to download the script. Upload that script to your Virtual Machine. (winscp, copy/paste into nano/vi or any other way you choose to). It takes approx. 1 minute to generate and download the script. Execute the script using bash <filename.sh>. First time the VM adds support for the iSCSI service which is required for mounting the back-upset. Choose Y for installation the iSCSI drivers and wait a few seconds. You see that entire back-upset is mounted. Now you can copy all the necessary files you need. After you are ready, go to the Azure portal and choose to unmount the back-upset. Now you are all finished!